It’s that time of year again, folks! The 5th grade musical! 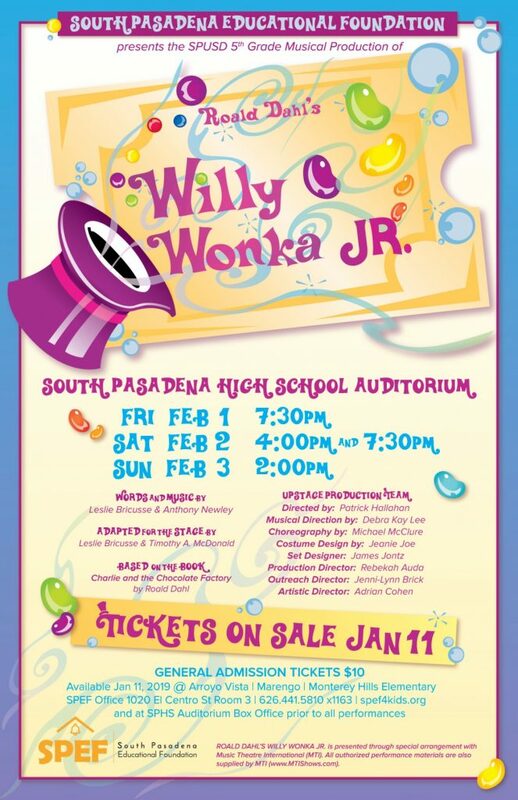 South Pasadena Educational Foundation and Upstage Theatre Schools present the South Pasadena Unified School District production of Willy Wonka, Jr. Fifth grade students from all three elementary schools will perform the popular musical at the South Pasadena High School Auditorium on Friday, February 1st at 7:30pm, Saturday, February 2nd at 4:00pm and 7:30pm, and Sunday, February 3rd at 2:00pm. General Admission tickets are $10 and available for purchase beginning January 11th during drop off and pick up times at all three Elementary schools and the SPEF office; 1020 El Centro Street #3, South Pasadena. The annual Fifth Grade Musical production is a South Pasadena tradition that brings together students in collaboration on one big, entertaining event. The productions are self-sustaining with all staff and expenses covered by ticket sales and student tuition for the afterschool drama program. It is made possible through the high-level of involvement from parent volunteers who handle everything from supervising rehearsals and designing posters to applying make-up and planning the cast party. 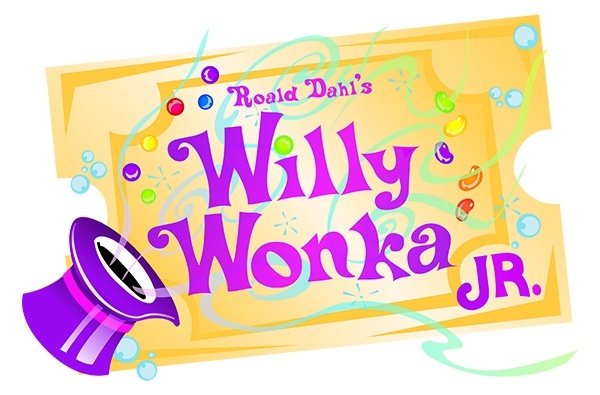 This year’s production of Willy Wonka Jr. will follow in the tradition of showcasing the many key elements of collaboration between SPEF and the SPUSD, including afterschool enrichment, hometown volunteerism, and a commitment to the arts. About SPEF: South Pasadena Educational Foundation supports educational excellence in the public schools of South Pasadena through fundraising and operation of enrichment programs. SPEF is a 501(c)(3) charity supporting the South Pasadena Unified School District as its official private fund-raising organization for educational programs including academics, curriculum and technology, libraries service and support, visual and performing arts, foreign languages, science, character education, critical thinking, staff development, counseling, and athletics.